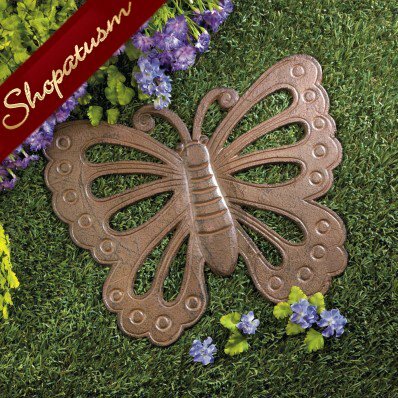 This is for a Beautiful Butterfly Cast Iron Garden Stepping Stone from Shopatusm. Let this beautiful butterfly lead the way to your garden! Made from cast iron, this pretty stepping stone is a great way to add style to any spot in yard. Item weight: 6 lbs. 14 inch x 11 5/8 inch x 1/4 inch thick. Cast iron.